Arizona Bank & Trust has announced that Nancy Tengler, noted speaker and author on various investment topics for women, has been named to the position of senior vice president and market manager of the bank’s Wealth Advisory Services in Phoenix. Tengler’s appointment will be effective on December 31, 2014 when Michael K. McCartney, who currently holds that position, retires. 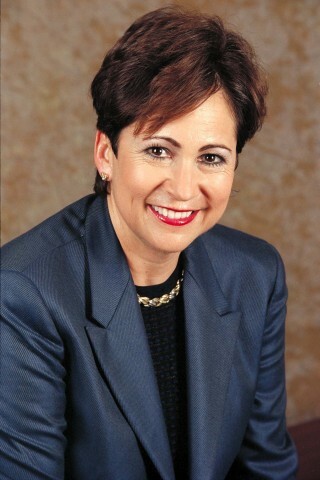 Tengler, who also serves as a board member for Arizona Bank & Trust, has been instrumental in leading the Women’s Financial Forum, the bank’s dedicated initiative to assist women in developing a deeper understanding of financial and investment management. Nancy recently published her third book, The Women’s Guide to Successful Investing. As market manager, Tengler will be responsible for leading the sales team and the wealth management division in Arizona. She is located at the bank’s headquarters on Camelback Road in Phoenix. “Nancy has a proven track record of leading multiple organizations and managing significant investment portfolios. She brings both technical and practical knowledge to our bank,” added Schwallier. Nancy has a career of wealth management experience. Before moving to Phoenix, Tengler was president, CEO and chief investment officer of Fremont Investment Advisors in San Francisco. At Fremont, she managed two of the firm’s active U.S. equity value funds and the globally allocated strategies and oversaw all of the firm’s investment products. Before Fremont, she was president and chief investment officer of Global Alliance Value Investors where she was the senior member of investment strategies and oversaw the firm’s investment research activity. She also worked for UBS Asset Management as head of the Value Equities Group and with Spare, Tengler, Kaplan and Bischel, Ltd. as president and portfolio manager. She has been an adjunct professor at St. Mary’s College in Moraga, CA and is a member of the MFA Advisory Board of the college. She also serves on the board of BioAccel in Phoenix, AZ. Tengler co-authored the book Relative Dividend Yield–Common Stock Investing for Income and Appreciation (part of the Wiley Finance Series). She also wrote New Era Value Investing – A Disciplined Approach to Buying Value & Growth Stocks, also published by Wiley. Her latest book, The Woman’s Guide to Successful Investing: Achieving Financial Security and Realizing Your Goals was released in August, by Palgrave MacMillan. Tengler received her bachelor’s degree from Point Loma College and a master’s degree from St. Mary’s College. Arizona Bank & Trust, a subsidiary of Heartland Financial USA, Inc., is a community bank with assets of $470 million and offices in Phoenix, Scottsdale, Mesa, Chandler, Tempe and Gilbert. Arizona Bank & Trust provides an array of products and services to fulfill the financial needs of individuals and businesses. The bank is headquartered at 2036 E. Camelback Road, Phoenix, Arizona. Visit www.arizbank.com or call 602.381.2090 for more information. The bank is a member of FDIC and an Equal Housing Lender. Heartland Financial USA, Inc. is a $5.9 billion diversified financial services company providing banking, mortgage, wealth management, investment, insurance and consumer finance services to individuals and businesses. Heartland currently has 77 banking locations in 57 communities in Iowa, Illinois, Wisconsin, New Mexico, Arizona, Montana, Colorado, Minnesota, Kansas and Missouri and loan production offices in California, Nevada, Wyoming, Idaho, North Dakota, Oregon, Washington and Nebraska. Additional information about Heartland Financial USA, Inc. is available at www.htlf.com.